Our Land Rover fleet consists of all the latest models offering the perfect experience for all customers. We pride ourselves on the highest of standards when it comes to reliability and customer service. Our team are proud to be part of a nationwide network providing high end vehicles. Please see below brief points of why we believe using our services result in an overall better experience. 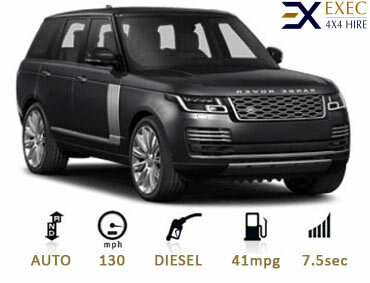 The Ultimate Range Rover, first introduced 40 years ago is world renowned for being the most luxurious 4x4 vehicle. Offering the finest of interiors with hand crafted leather and all terrain driving modes along with many hi-tech features, Panoramic sliding roof, deployable side steps. 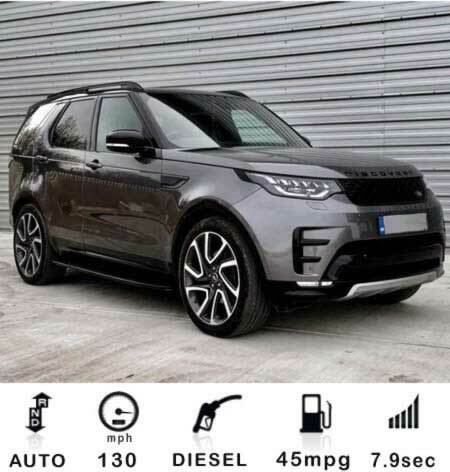 The Range Rover creates the most impressive overall driving experience and is our customers favourite choice and proves extremely popular during high season. The Range Rover Sport the most Dynamic Land Rover has built a reputation from its ability of high performance handling with dynamic stability. Offering such luxurious interior with the powerful engine the Range Rover Sport is one of the most exciting 4x4 vehicles to drive. The cabin has a very spacious feel however space is limited compared to its big brother the Range Rover. The Range Rover Sport becomes very popular during the high season. Introducing the Range Rover Velar within our 4x4 fleet has proven a success, the Velar has been positioned within the mid-sized SUV and out-ranked the Evoque on the popularity and exchanging its place within our fleet. The Range Rover Velar sits between the Sport and the Evoque but certainly holds the top position for its good looks. 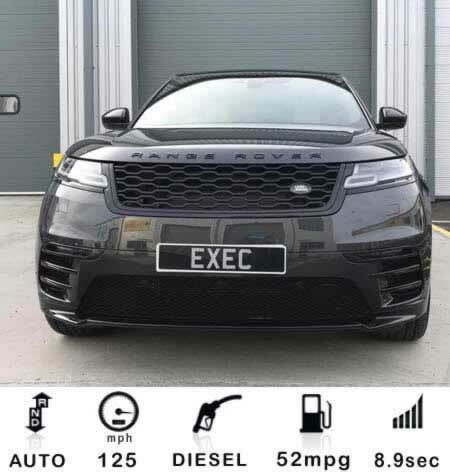 Our fleet consists of the D180 model however we are looking to introduce the new Hybrid Velar within 2019/20. The Land Rover Discovery 5 is legendary known for its robust off-roading capabilities along with interior spacious design. The Discovery 5 has many modern features and replaced the discontinued Discovery-4 which is still currently within our fleet however being slowly removed being replaced by the Disco 5. This great 4x4 vehicle is a favourite amongst our family weekend getaways customers. Range Rover have now introduced the new 2nd Generation Range Rover Evoque, sadly our fleet has slowly discontinued the older model ready for the new Evoque to take its place. We have currently per-ordered the 2.0-litre turbo petrol-powered Evoque P250 model along with the more powerful Evoque-S P250 R Dynamic version. Our customer service team will be taking reservations as from Aug 2019. 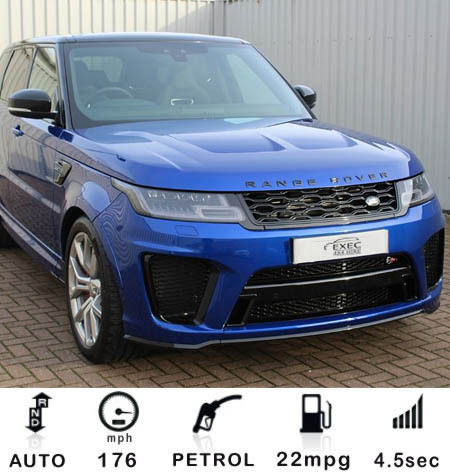 The latest Range Rover Sport SVR provides immense power with its astounding 5.0 litre Supercharged V8 Engine delivering 567BHP. The performance and driver experience with the SVR is similar to supercar driving. Our fleet is currently limited with availability due the increased daily rate and running cost however we currently provide this SVR within London and surrounding regions. Exec 4x4 Hire offer all customers the option to use our efficient delivery service providing a simple door step vehicle handover anywhere throughout the UK mainland. Our vehicle dispatch team will arrive at the arranged time and location providing updates by text message prior to vehicle arrival. Our Airport meet and Greet is the ideal way to arrange the vehicle collection at any of the UK Airport terminal’s including Heathrow Airport and Gatwick Airport. Exec 4x4 Hire is long established and highly experienced within the car hire industry, being solely focused within the 4x4 market. 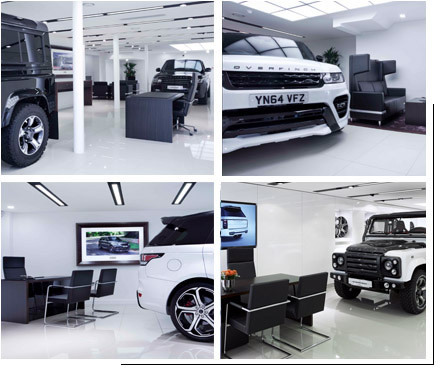 We have achieved a respected relationship direct with Land Rover gaining the opportunity to offer our customers the very best in vehicle specifications with immediate availability on all the latest models. Our services are regarded at the highest of standards, reflected on many positive Online reviews. All rentals are in accordance to the guides of the BVRLA industry standards. We believe the best way to operate a successful luxury car hire company is to maintain a level of trust with all customers, this is one of the reasons we only require a small deposit of to secure the exact vehicle chosen, we are able to achieve this because we are confident in providing a high level rental experience the customer least expects. Once the deposit payment has been processed the booking is secured and the customer will receive an online confirmation providing the opportunity to add additional drivers along with the ability upload driving licence and delivery information. The background of Land Rover, now part of JLR (Jaguar Land Rover) has been part of the prestigious car brand since 1948. Now owned by Tata Motors the Land Rover is and always will be British built and designed in the UK which is one of the reasons it’s the country’s favourite 4x4 vehicle. 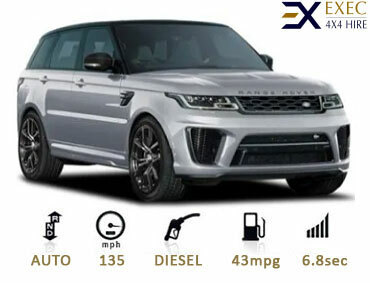 During decades of research and car production Land Rover has taken the lead in the world of vehicle luxuriousness with modern off road capabilities, further more producing every day more attainable 4x4 vehicles such as the Evoque. The Range Rover is ultimate in luxury with hand crafted leather interiors gaining a reputation of high quality and modern specifications throughout the car industry.